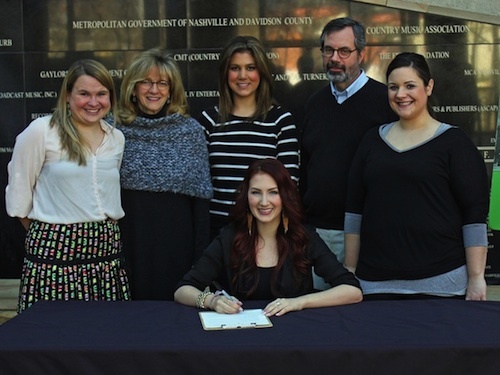 Katie Armiger was recently invited to become an honorary “Friends and Family” member of the Country Music Hall of Fame. Pictured (L-R): Rachel Weingartner (Membership Manager, Country Music Hall of Fame and Museum), Pamela Johnson (Vice President of Development, Country Music Hall of Fame and Museum), Karen Krieschen (Cold River Records), Jay Orr (Vice President, Programs), Erica Johnson (Cold River Records), and Katie Armiger. RED Bow Records’ Rachel Farley stepped onto the famous Grand Ole Opry stage on Friday (March 15) for the first time in her musical career. The evening was quite surreal for Farley, considering it was only six years prior that she visited the Opry as a spectator to see one of her musical idols, Martina McBride, during her very first trip to Nashville. Photo 1: Pictured (L-R): Shelley Hargis, Michael Knox, Rachel Farley, Pete Fisher. Photo 2: Rachel Farley makes her Grand Ole Opry debut. 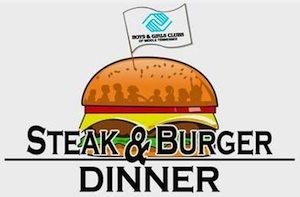 The Boys & Girls Clubs of Middle Tennessee (Williamson County Club locations – Fairview & Franklin) will host the 24th Annual Steak & Burger Dinner on May 2, 2013. This year’s event will feature CCM artist Michael W. Smith. The event will begin at 6 p.m. and features a silent auction, a dinner and a performance from Smith. As adults enjoy hamburgers, Club kids will be treated to a special steak dinner. Each table will consist of six adults and two kids so that event attendees learn about the kids in a unique setting. Event proceeds support educational programs and outreach to over 500 kids, ages 5 to 18, served annually at the two Williamson County Club locations (Fairview & Franklin). Boys & Girls Clubs of Middle Tennessee operates five Club locations in both Davidson and Williamson Counties and serves over 2,000 kids total annually. More information can be found at www.SteakAndBurgerDinner.com. 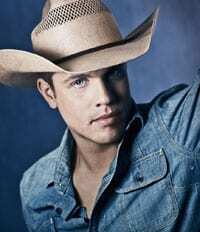 Dustin Lynch will make his late night TV debut tonight (Monday, March 25) when he performs his current single “She Cranks My Tractor” on Jimmy Kimmel Live! The performance is slated for 10:35 p.m. CT.
Collin Raye, Mark Wills, Jim Ed Brown, Jan Howard, Eddy Raven and David Ball provided their support to the newly launched HonorOne Campaign by recording public service announcements and detailing their personal experiences with the military. The PSAs challenge Americans to make a pledge of $10 to the organization which assists service men and women and their families. For each $10 spent at HonorOne.org, the supporter will receive a God Bless the USA Reminder Coin. 100 percent of the profits are donated to the best military charities, including those that provide vital family and post-traumatic stress disorder counseling for soldiers returning from the battlefield. For more information, or to support the HonorOneCampaign, please visit honorone.org.